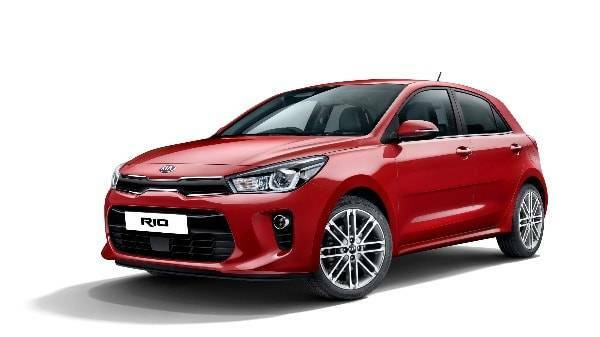 The Kia Rio is a super versatile and practical small hatchback, offering a pleasurable driving experience, low running costs and premium and sporty styling. If we had to describe the Rio’s design in three words they would be, functional, ergonomic and stylish. 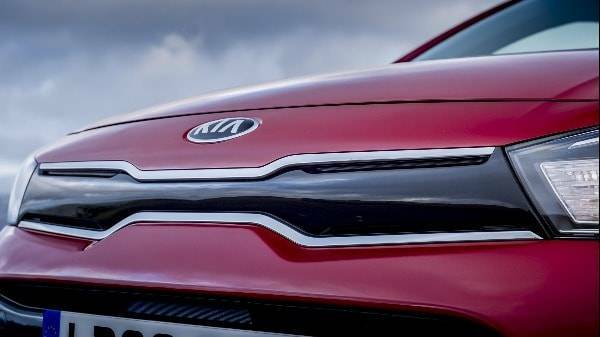 Starting with the front of the super compact car you will find the signature ‘tiger-nose’ grille, stretching across the front of the vehicle and integrating smoothly into the sculpted bi-function projection headlights. There is a real sporty look to the Rio, elegant and smoothly sculpted body panels run the full length of the car, giving the hatchback a really muscular look. The smooth contours of the body bring you all the way to the rear of the car, where you’ll find beautifully sleek sculpting that incorporates the roofline, boot line, rear lights and rear bumper into one rolling feature. Not only do the aerodynamic details of the vehicle enhance the overall look, giving it a smart, sculpted and sporty presence but these design details enhance the smoothness and handling, giving better fuel economy and an overall enjoyable experience. In addition to the streamlined and muscular looks, there is also the option of 17” alloy wheels which enhance the premium exterior of the Rio alongside options such as chrome accenting, electrically folding and heated door mirrors and rear spoiler garnish. 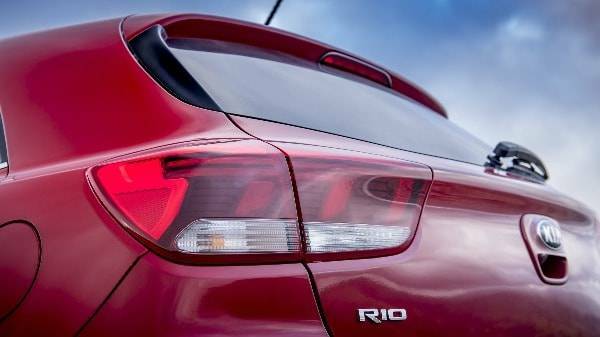 The Rio’s overall size has grown since the previous generation too, giving it, even more, presence on the road and is now only available as a 5-door. The interior of the Rio is all about comfort and practicality but it does this without compromising on style. The Rio enjoys a really spacious and attractive interior design throughout the cabin, an uncluttered and responsive dashboard means that there is quick and easy access to a whole host of features and the highly adjustable driver position and steering wheel means it won't be hard to find the most comfortable and supportive position. With premium and comfort focused material throughout the cabin, the design team involved in the making of the Rio have really focused on making the cabin as comfortable and spacious as possible. Details such as the slightly extended wheelbase mean that the Rio hatchback is a spacious and comfortable ride and can quite easily accommodate adults in the back, a low transmission tunnel means even the middle passenger will have ample leg room. 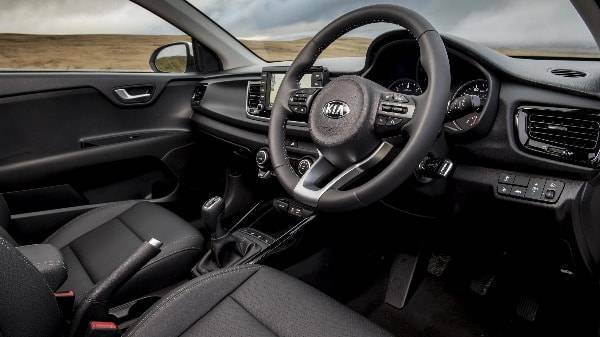 The Kia Rio is also a class leader with really accessible and versatile storage space. The back seats are foldable and offer a 60:40 split which makes the already generous 325-litre boot even bigger and puts it as one of the leaders in its class. Kia’s super-mini makes you and your passengers a priority. 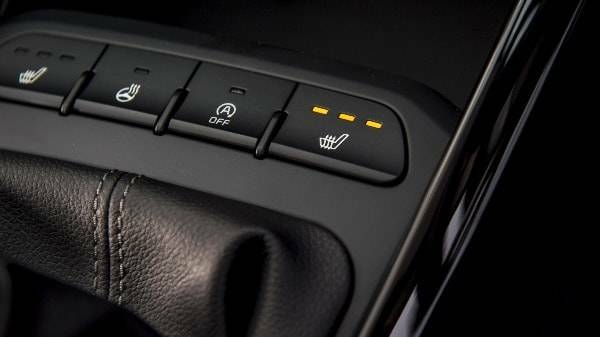 Featuring top of the line intuitive and protective technology to ensure you have a safe and comfortable drive. Packed with technology to help you keep safe and comfortable by keeping an eye out for you on every journey and details throughout the structure, have been engineered to keep you as safe as possible. 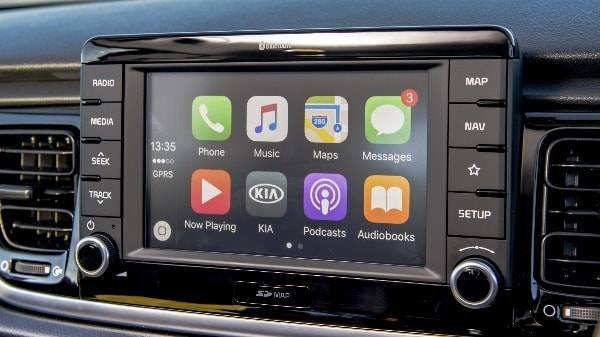 Along with safety, the all-new supercompact Rio comes with a state-of-the-art infotainment system which successfully keeps you fully connected, informed and entertained by using the latest and smartest technologies. 51% AHSS - The all-new Rio uses Advanced High Strength Steel to deliver body rigidity, enhance cabin protection and dynamic performance. 8 zones with hot-stamped components in core stress areas. This strengthened body structure provides even more crash protection. 97 metres of structural adhesive - more than six times as the much structural adhesive applied compared to the previous generation. It has made the new Rio rigid yet lighter and more sound absorbent. 6 Air bags - Front driver and passenger, 2 side and 2 curtains. Enhanced ride comfort delivers you and your passengers a smooth and secure ride. 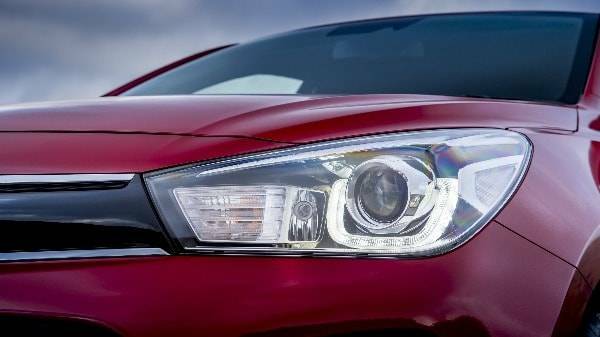 The supercompact Kia Rio hatchback offers a great choice of transmissions and engines. The variety available means that you can pick an engine that suits you, making your driving experience and enjoyable one. The Rio also comes with the option of Intelligent Stop & Go (ISG) making it highly efficient.